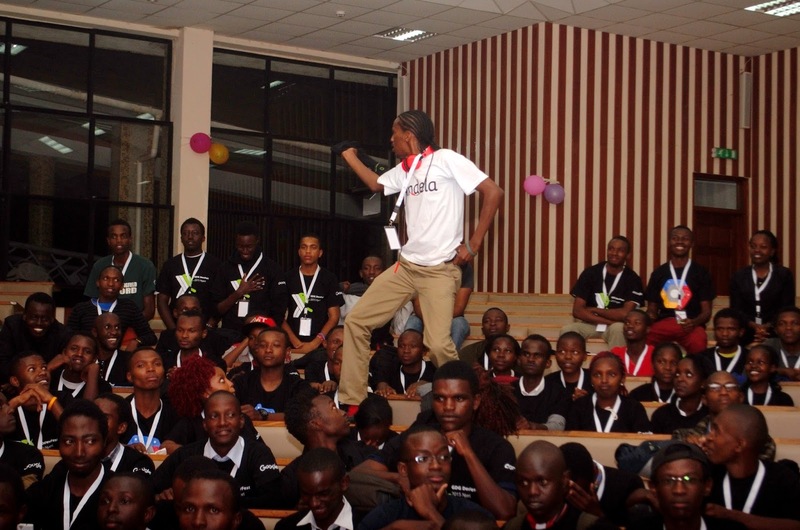 DevFest Nyeri 2015 was a great success. 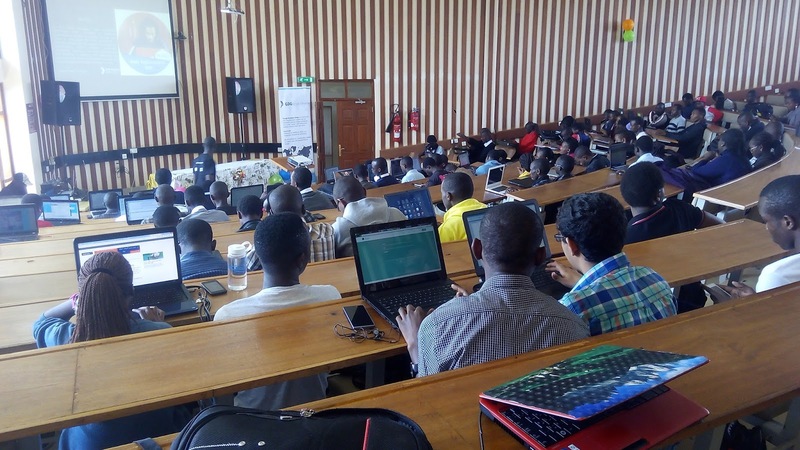 This is the 3rd Devfest Nyeri that has been organized (by GDG Kimathi University) since 2013 and we have always had awesome feedback from newbie developers and experienced developers as well. 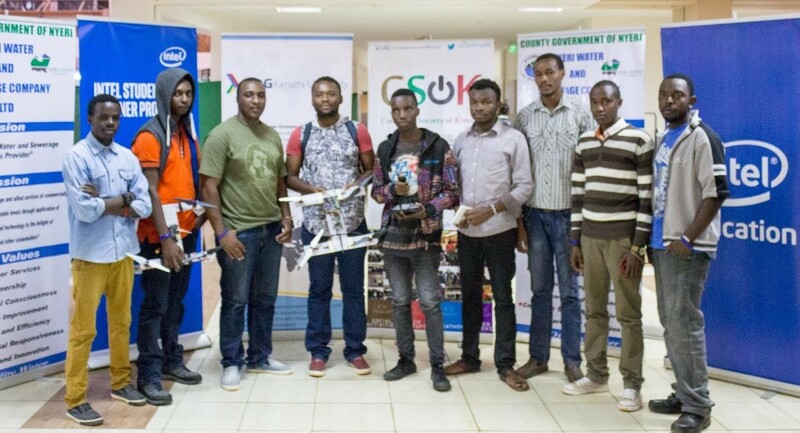 During this event, we had three 3 GDEs out of the current 8 GDEs in the Sub Saharan Africa and top notch professionals speaking. 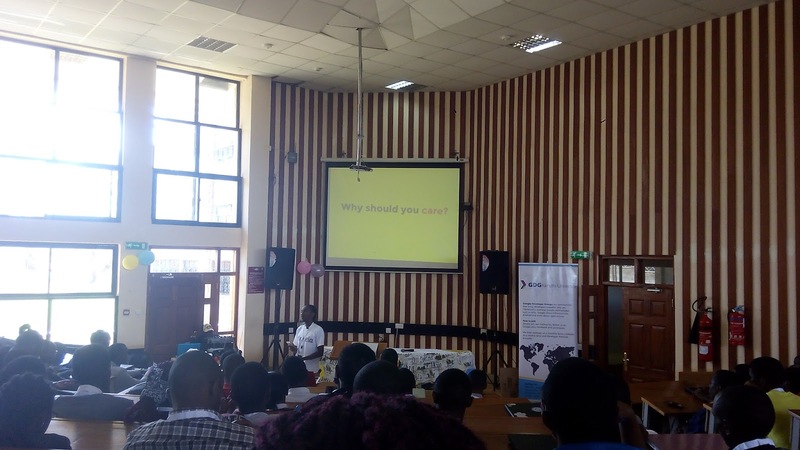 People travelled from all over the country to Nyeri, making a conference of interesting speakers, great topics, enthusiastic audience and fun. 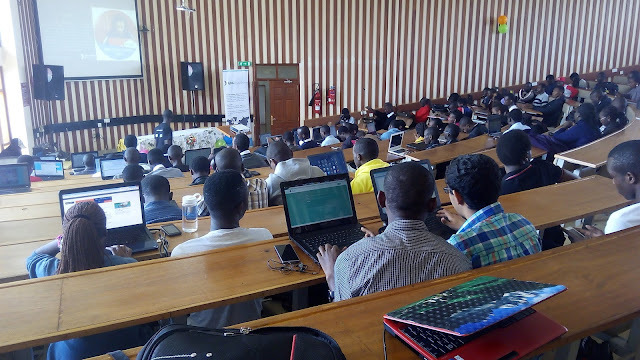 We averagely have an attendance of 140 attendees but this year the event brought together 180 attendees with collaboration from GDG Egerton and GDG Kabarak. During this event, we had a single session which run the whole day with back to back presentation from different rock star speakers. The session started at 8:45 even before the keynote and ran until 7pm. An inspiring keynote was delivered by +Mercy Orangi, the Google program developer ecosystem manager, sub Saharan Africa. 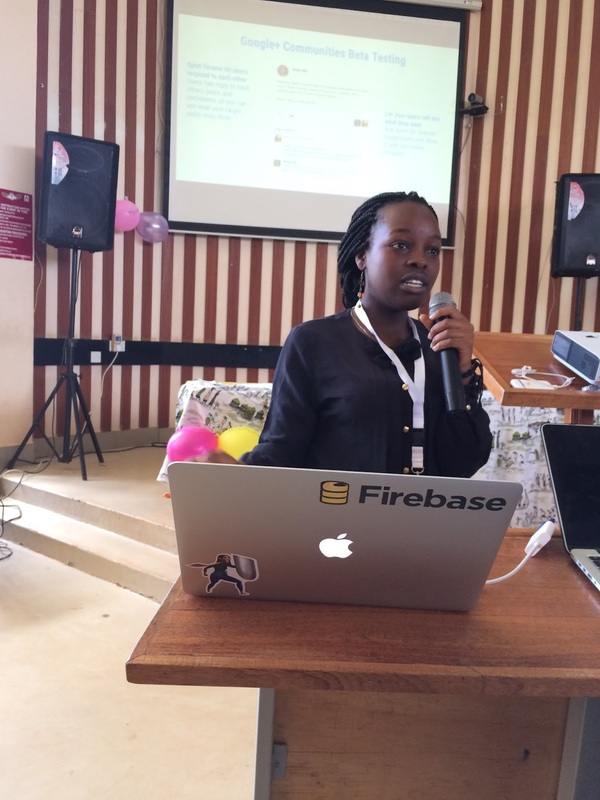 Mercy is one of the notable women leaders at Google in the SSA region. She discussed her career and shared her insights on how women can increase their participation in the technical field. 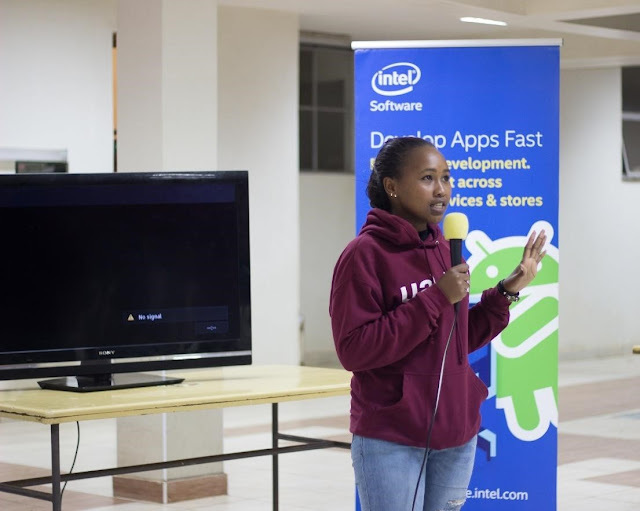 She also talked about how startups in the region can be successful by building applications and businesses on Google's platforms. 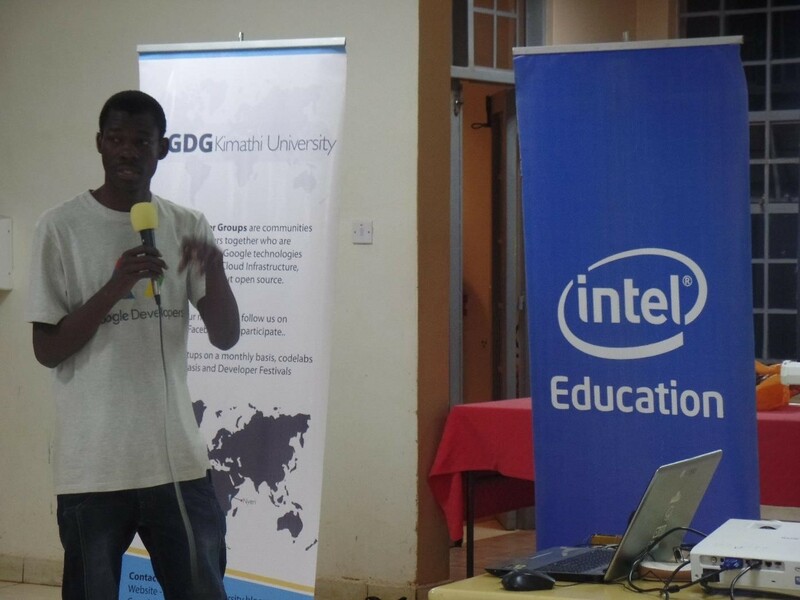 Next on stage was our very own lead, +GDG Kimathi University Lead, +Kenneth Kinyanjui. Kenju is a Software Engineer with many hats. He is an entrepreneur, the GDG country mentor, and a Google Developer Expert in Cloud Platform. 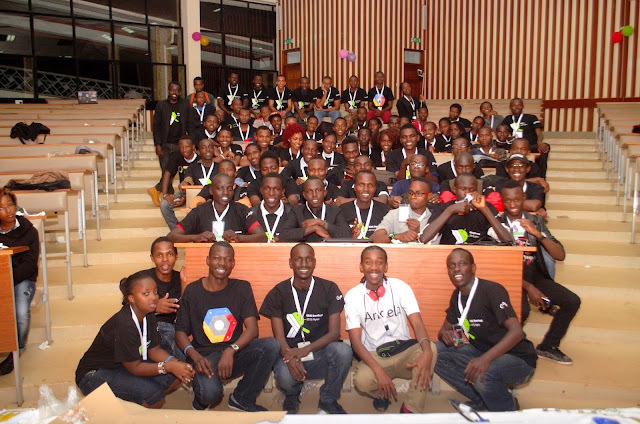 As a GDG country mentor, Kenneth has been helping build the Kenyan Google Developer Group Community across the country. He talked about service workers, a script that browser runs in the background, separate from a web page, opening the door to features that don't need a web page or user interaction. He also touched on how to integrate a service worker into an existing application to make the application work offline. We then had +Dario Mungoi on stage. He spoke on what it takes to become an Android ninja. 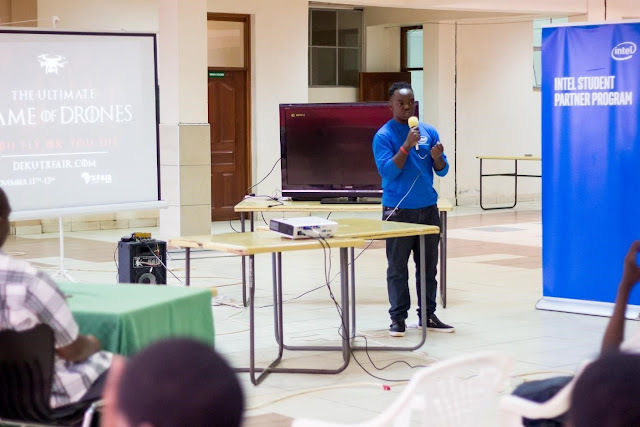 Dario is android developer Expert from Mozambique who started his android development path after participating as a designer on the first Taylor Ling (Re) Design contest back in 2013. DevFest Nyeri 2015 was such a top notch conference full of deep knowledge, inspiration and amazing energy. The event greatly helped to improve the Skill of developers. 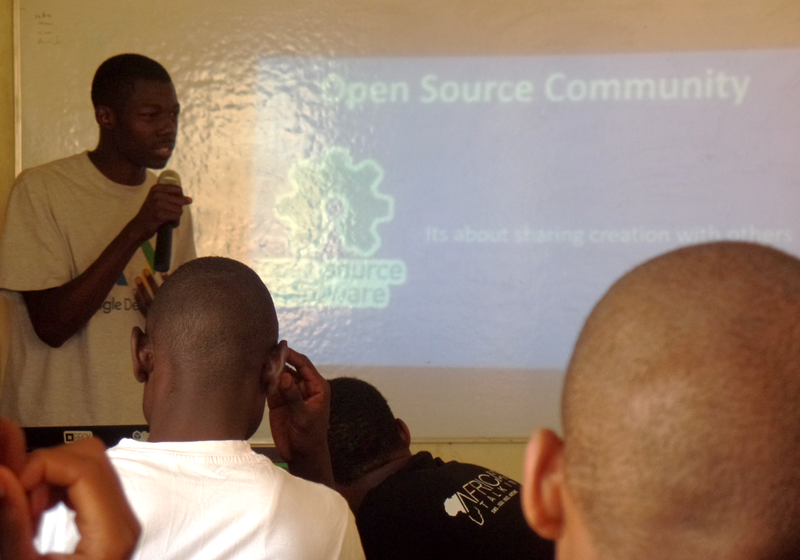 Resourceful links were also shared with developers to help them in future reference. At the end of the event, we had several community updates before the closing remark by Kenneth Kinyanjui. 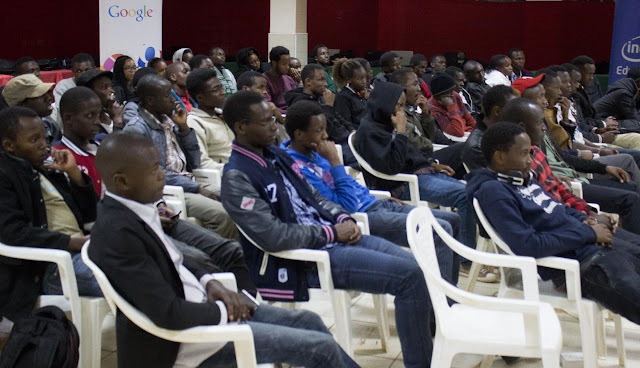 GDG Kimathi University would like to thank all the attendees, the speakers and organizers for being awesome. We are also grateful to Sponsors for all the support, and Dedan Kimathi University of Technology for hosting the venue for the event. GDG Kimathi University is excited yet again. The moment we have been waiting for is almost here. This is going to be a major developer’s event conference for everyone who builds apps for Google software platforms. We expect a highly technical, in-depth keynote sessions focused on web building, mobile and enterprise applications with Google, and open web technologies such as Android, Chrome, Chrome OS, Google APIs, Google Web Toolkit, App Engine, and more. 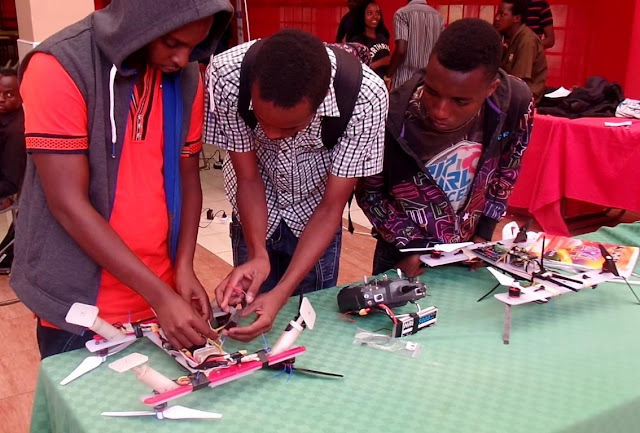 This premier event will take place on 28th May 2015 and run through to 29th may at the Moscone Centre West in San Francisco. During this event, as usual, the company will take this opportunity to launch several new products with various improvements for its products and services and maybe announce a bunch more that will come later. With Android being the most popular platform, it might take the lion’s share of attention again. 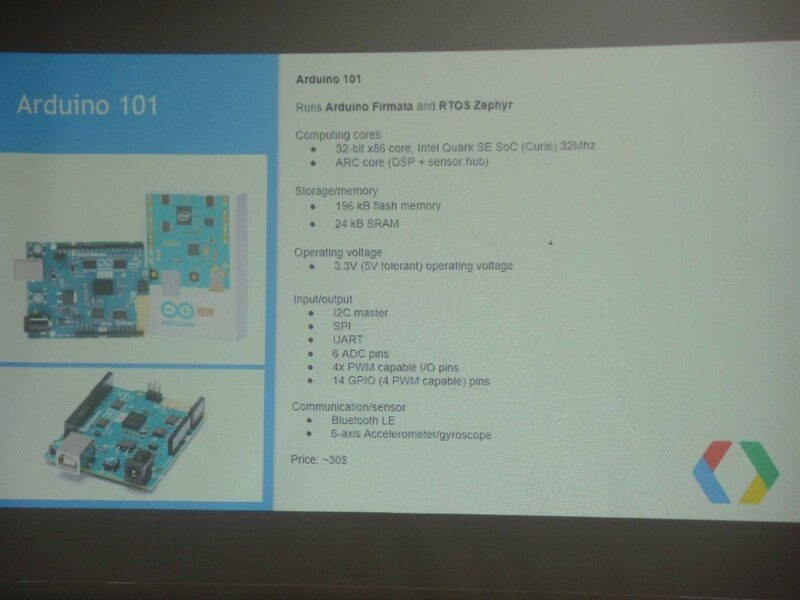 Last year for instance, among many reveals, Google used the conference to showcase its latest version of Android, Android 5.0 Lollipop simply named Android L. The company also unveiled its platform for smartwatches and wearables, Android Wear, its Material Design mantra, Google Fit, Google Glass, Android Auto and Android TV among others. In the L release, a new Battery Saver mode gives a detailed statistics on what's draining your battery thereby improving performance by making the ART engine the default. We were also introduced to Android Auto. Google took some of its best features to the car. It allowed the user to plug in their phone into their vehicles and the display provides simplified, car-friendly controls for key apps. Some killer new features for the Chromecast were also announced. This included the allowing anyone to cast content to their TV without actually having to connect to the same Wi-Fi network. So what’s exactly is coming this time round? We are not so sure, but Chrome and the larger family (like the Chromecast) will undoubtedly play a major role. 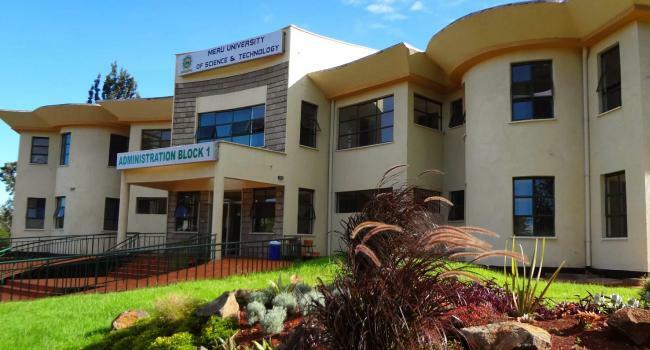 In addition to the actual conference taking place at San Francisco, Google will hold there I/O Extended event right here, at the Dedan Kimathi University’s DeHUB. 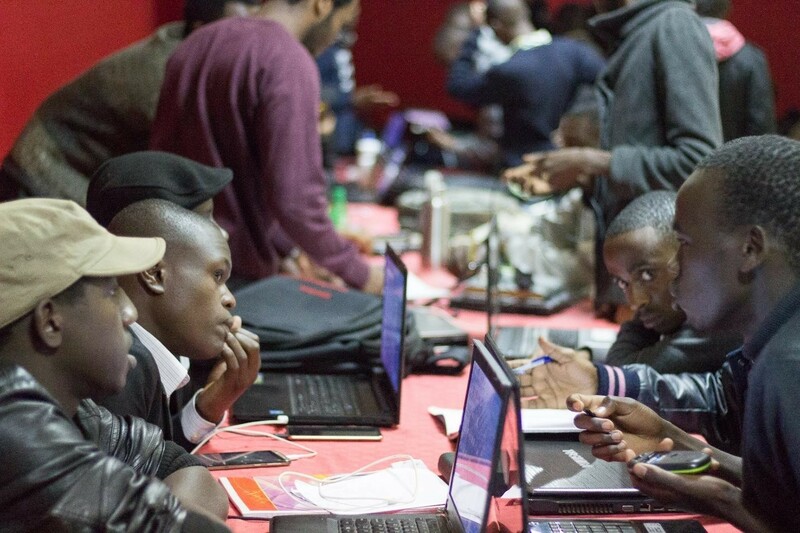 There will be live streamed sessions, local developer’s demos, presentations and many more. Everyone is invited to attend. To be part of this great event, kindly register here, it’s absolutely free. Follow the updates on twitter: #ioextendedNyeri15. Feel free to ask any question on that hashtag.